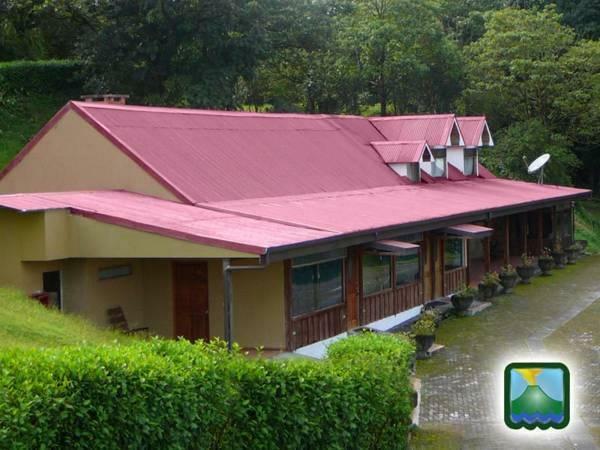 ﻿ Best Price on Hotel Arenal Lodge in La Fortuna + Reviews! 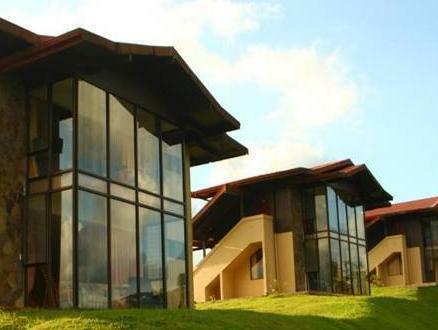 Have a question for Hotel Arenal Lodge? 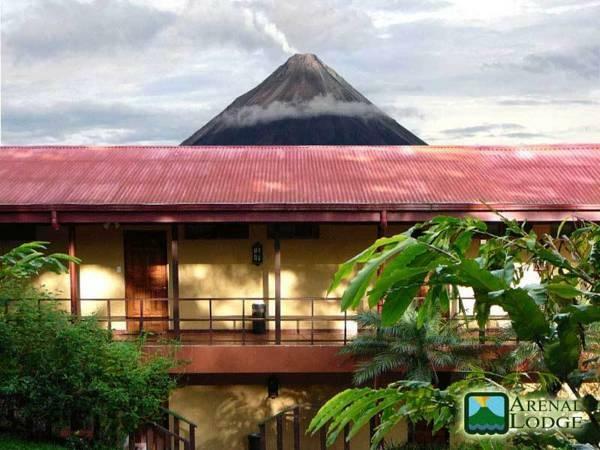 Conveniently located in La Fortuna, Hotel Arenal Lodge is a great base from which to explore this vibrant city. The hotel is not too far from the city center: just 26 km away, and it normally takes about 30 minutes to reach the airport. With its convenient location, the hotel offers easy access to the city's must-see destinations. At Hotel Arenal Lodge, every effort is made to make guests feel comfortable. To do so, the hotel provides the best in services and amenities. Guests of the hotel can enjoy on-site features like free Wi-Fi in all rooms, Wi-Fi in public areas, car park, family room, restaurant. The hotel features 50 beautifully appointed guest rooms, many of which include internet access – wireless (complimentary), air conditioning, wake-up service, desk, mini bar. The hotel offers an excellent variety of recreational facilities, including hot tub, fitness center, outdoor pool, spa, massage. 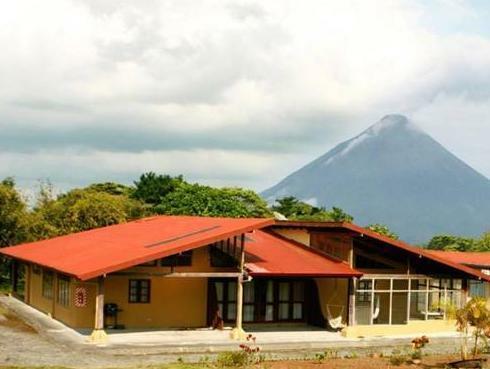 Whatever your reason for visiting La Fortuna, the Hotel Arenal Lodge is the perfect venue for an exhilarating and exciting break away. Very, very good value for money! Personally I think it is cheap ... Choose the junior suite! Excellent views, garden's. Little secluded but that's not a big deal. Excellent staff, good restaurant. We enjoyed the nature in the every moment we stayed there. A big territory, lots of interesting trails and natural walks just in the territory! 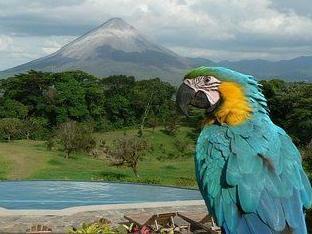 But it is really far away from Hot springs and la Fortuna. It also needs looking after. Getting shabby, has a smell of humidity. No wi fi in the room, you can have wi fi Only sometimes in the lobby, if you are lucky. My husband and I stayed 2 nights at the lodge in January. We did not expect when we arrived after dark that it would be such a long drive up a windy mountain road to get there, and it felt appropriate when we saw a sign before the lodge that read "you made it!". We soon came to understand why it was worth being so far from the road. The view is amazing, and you are surrounded by acres of rainforest, with well-maintained trails that are open to guests. The kind of trails you pay good money to walk on a guided tour elsewhere, the lodge offers for free, guided by their wonderful naturalist Miguel. We saw a family of howler monkeys with their babies, and spent about 2 1/2 hours out in the forest. They also offer horseback riding on site, though we didn't go. The Arenal Lake dam is right next to the entrance to the lodge, and from there we rented kayaks for $20 each and spent a morning on the lake enjoying the view of the volcano and the wide variety of birds around the lake. Because the lodge is located up on a mountain away from the road you will need your own car to get the most out of your stay, however the lodge can also arrange tours for you where you can get picked up. The breakfast was delicious! Lovely rooms with veranda and view of the volcano. Great free guided walk on grounds. Good breakfast. the hotel is in a lovely setting, however it is a bit out of the way if you don't have your own transport. set about 2-3 km back from the road and about 30 mins in car from volcano or la fortuna. very relaxing, great views of the volcano. Si vous recherchez le calme, la nature et un peu de confort, le jucusi face au volcan alors cette adresse est la bonne ! Bel environnement,bel emplacement face au volcan Arenal. Les petits déjeuners sont sinistres. Le personnel à peine aimable.